“Yes, but he is Darcy, after all. Can you imagine the lady who would reject him?”Sir James laughed. 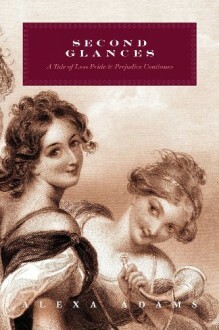 “I don't know; if he had made a muddle of a first impression upon his wife, as I have on Miss Bennet, then perhaps his gentlemanly status would have undergone similar attack.” A year has passed since the conclusion of First Impressions, and the marriages made by the three eldest Bennet ladies are prospering. Expectations are high for the two youngest sisters to do equally well. Kitty, having excelled in school, receives an invitation to join Georgiana Darcy in her first London season, leaving Lydia to bear the burden of the classroom alone. Will the most forward Bennet tolerate such inequity? Kitty arrives in London prepared to be happy, but her delight is marred when she finds a most unwelcome gentleman on intimate terms with her hosts. She has met the reckless Sir James Stratton before and would like nothing more than to never encounter him again, but his acquaintance she is forced to endure. Struggling for firm footing amidst the whirlwind of London society, will Kitty be allowed to follow her heart, or will her family force her hand? Join the reimagined cast of Pride and Prejudice as they pursue happiness amidst the ongoing obstacles of life, love, and interfering relations.